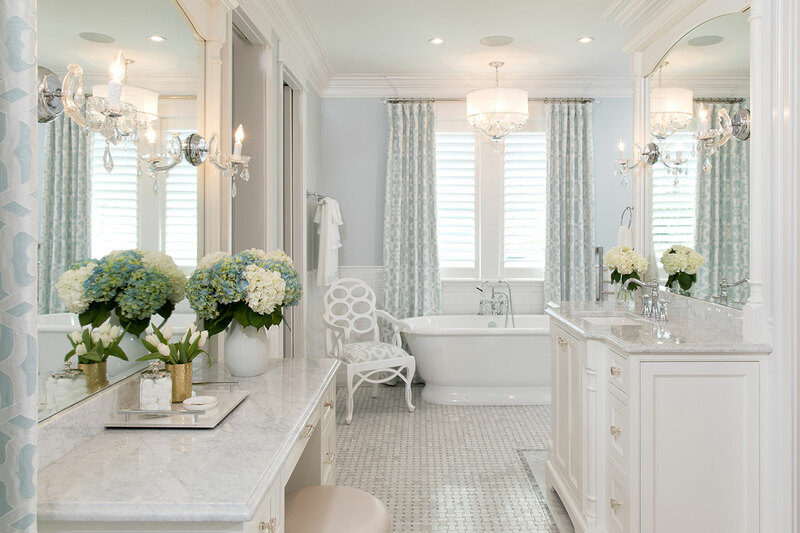 The beauty of this Refined Retreat is all in the layers. 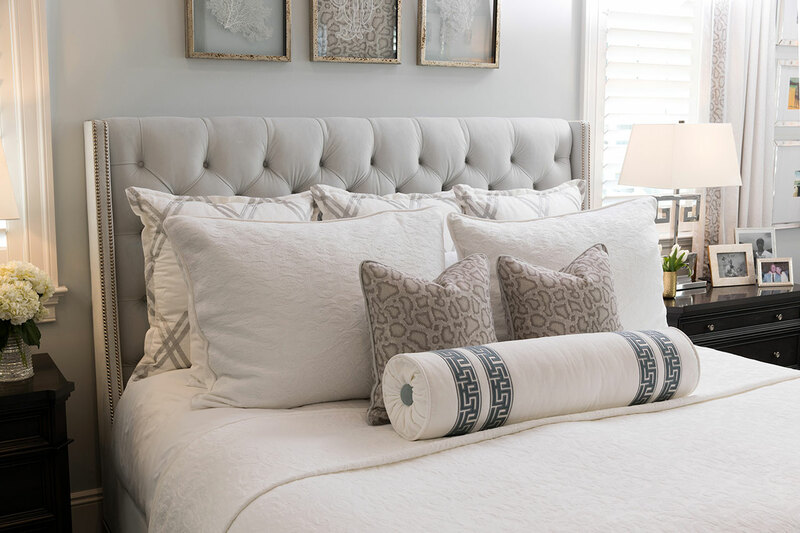 Amy designed these spaces to be soft and comforting, with the major areas of contrast being in the many layers of texture. 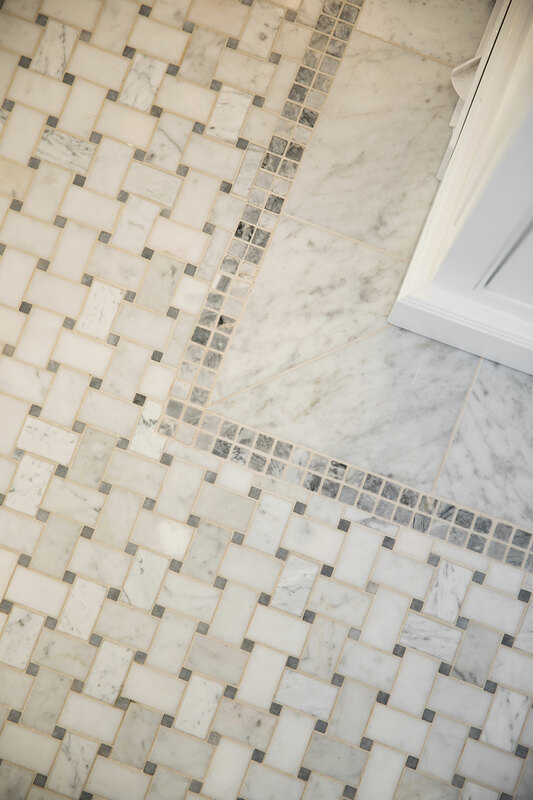 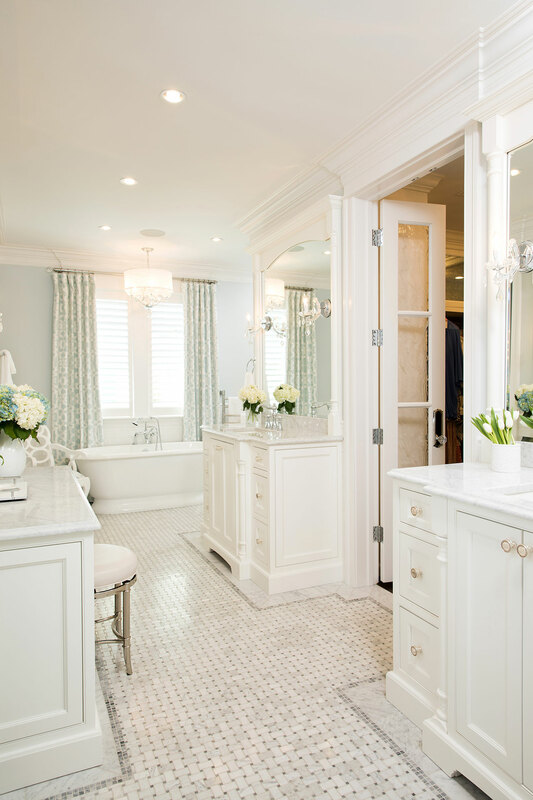 Tonal colors give the space it’s softness, while polished metals and a rich mix of marble and glass give it extra refinement. 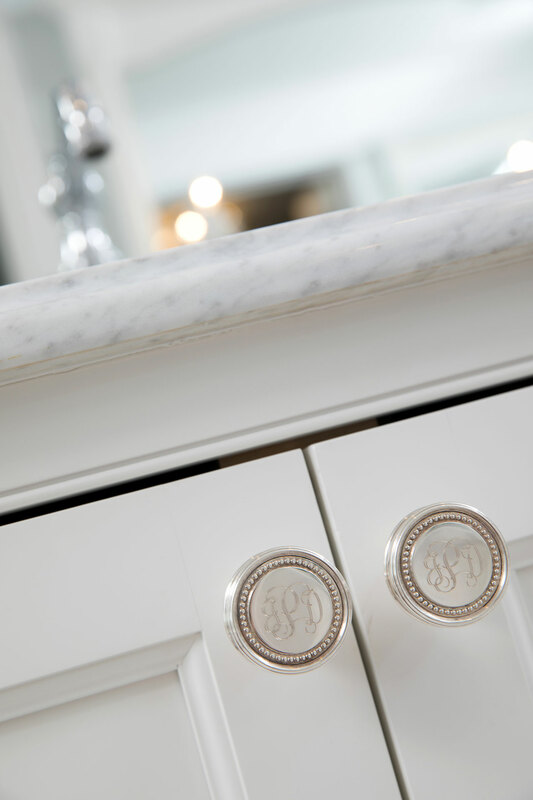 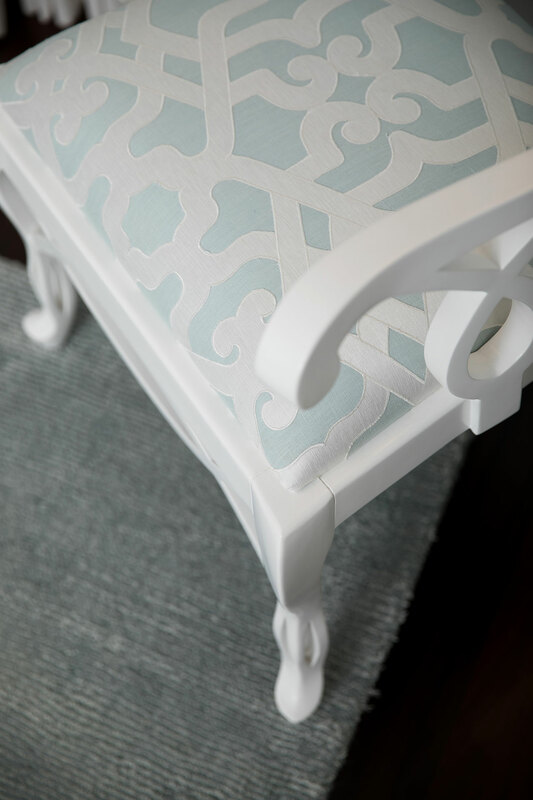 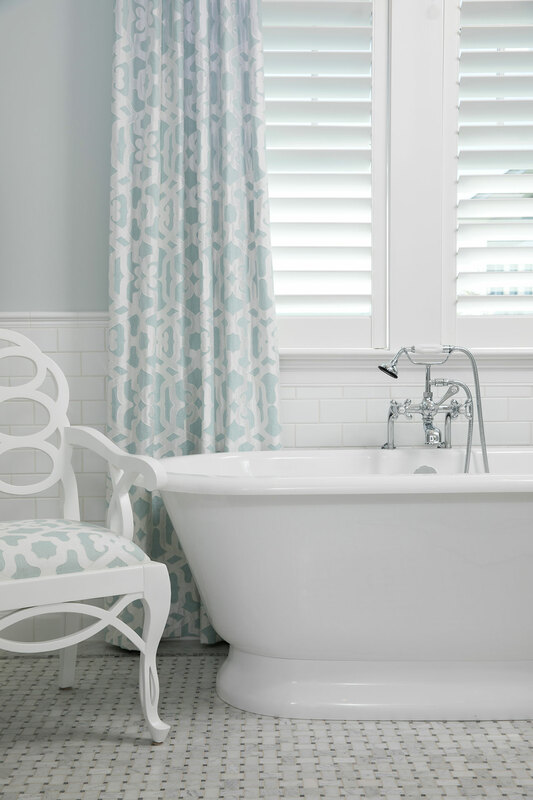 Custom drapery brings attention to the gorgeous pedestal tub. 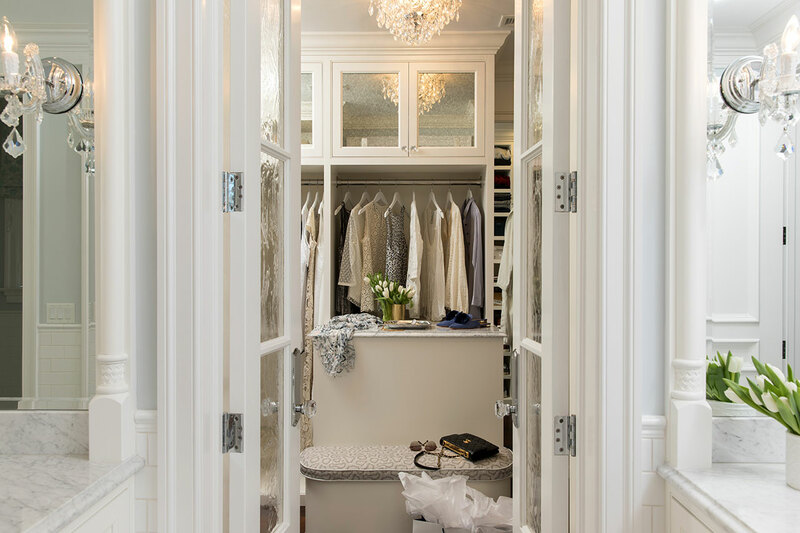 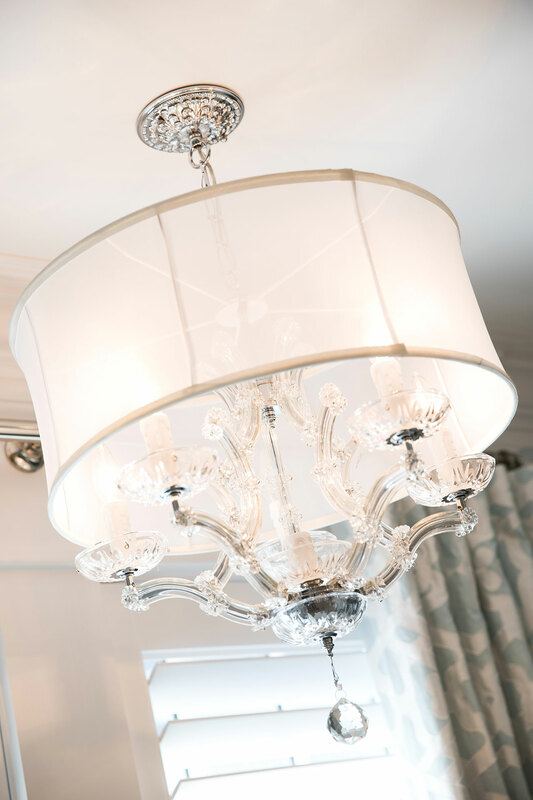 A custom closet houses the client’s treasures with antique mirror doors, an upholstered storage bench and a crystal chandelier. 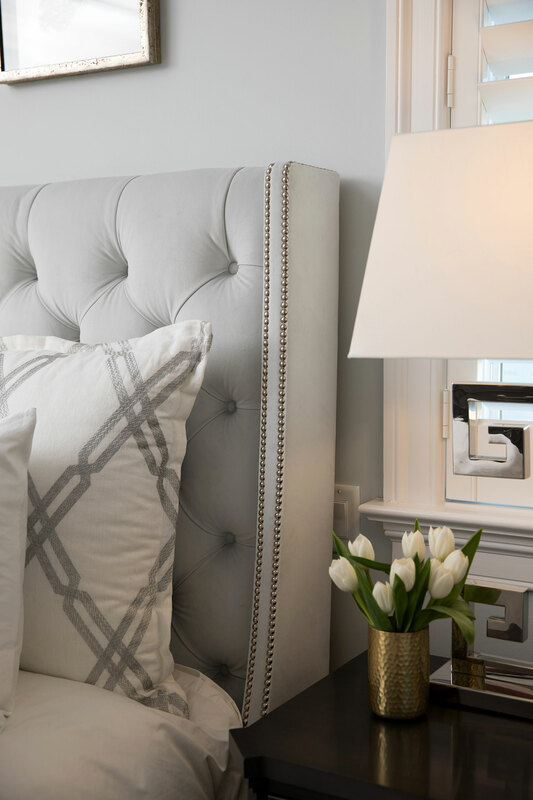 The bedroom continues the textural palette with soft tufted velvet on the headboard, custom bedding & drapery, and a shagreen finish on the custom nightstands.